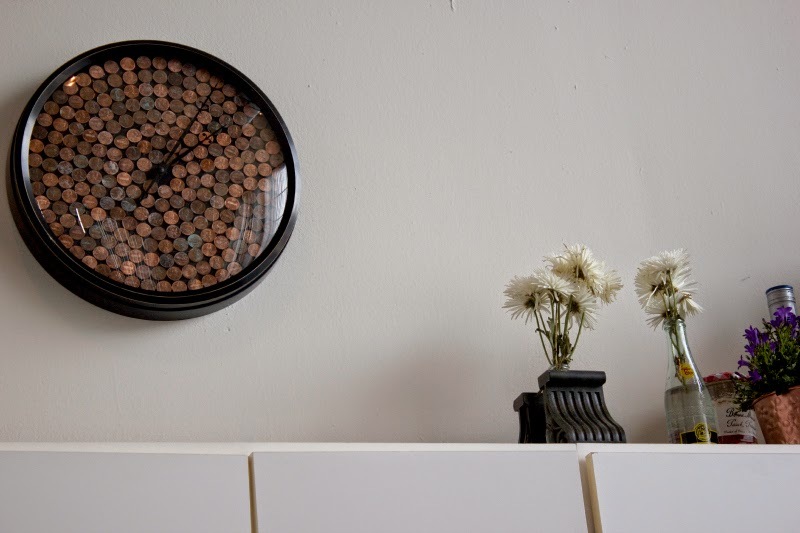 If you saw my loft kitchen tour last week, you'll know I have a new penny clock that was a real tattered to taylored diy. 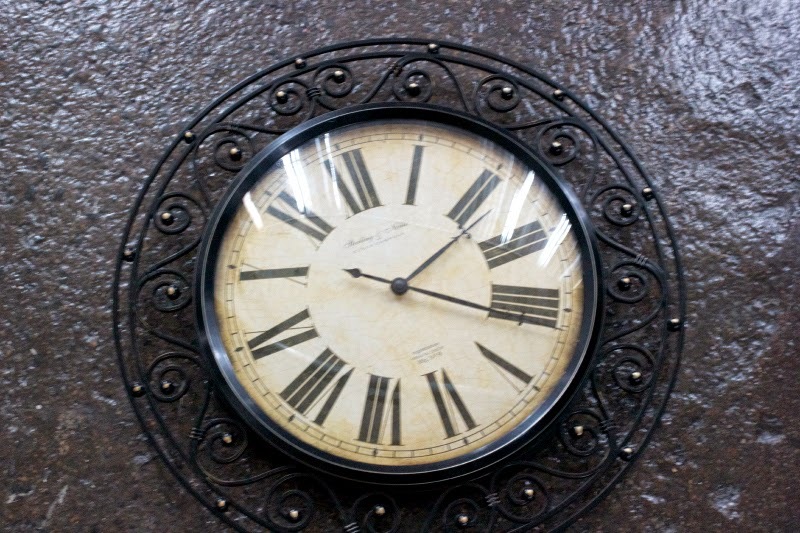 I took an old clock that I've had from college that looked, well it looked cheap. So I decided to taylor it. 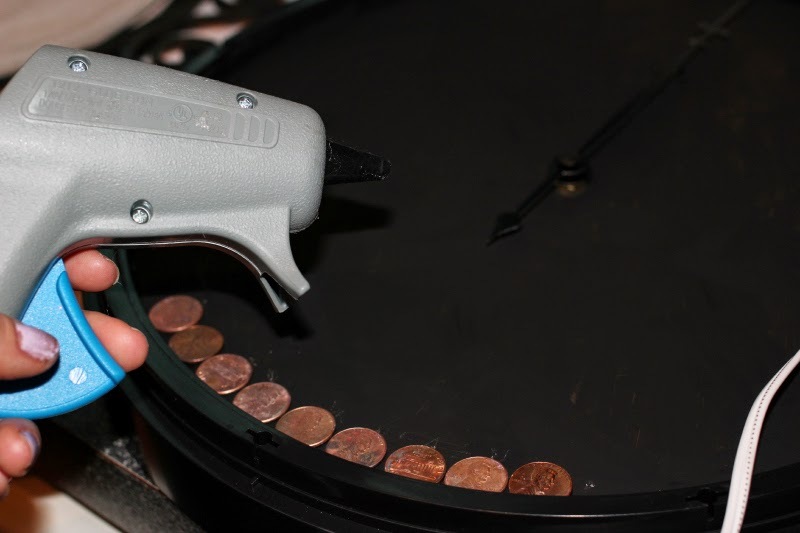 Take apart your clock so you're only looking at the part where you'll be putting your pennies. Then scourer the house looking for pennies, luckily we have a big vase of change. Then lay your pennies out in your design, do this before of you might end up with not enough pennies! 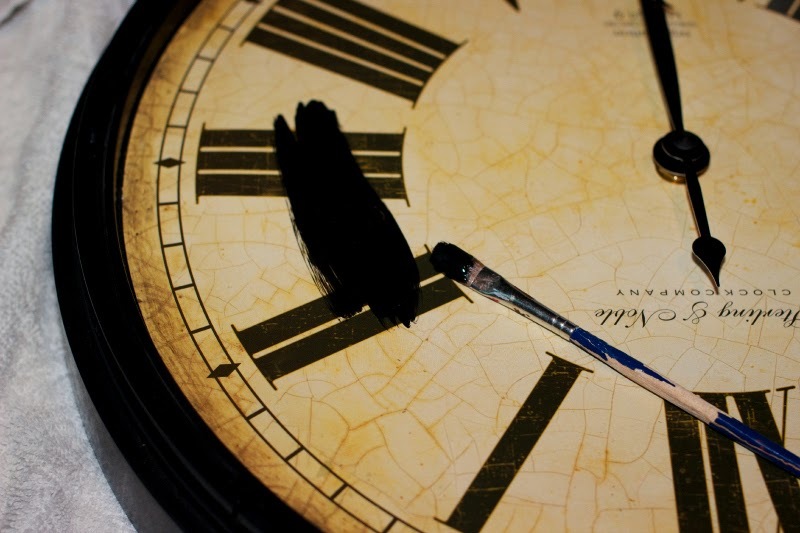 I decided to paint over the original design of the clock so it would be uniform with the black edges. 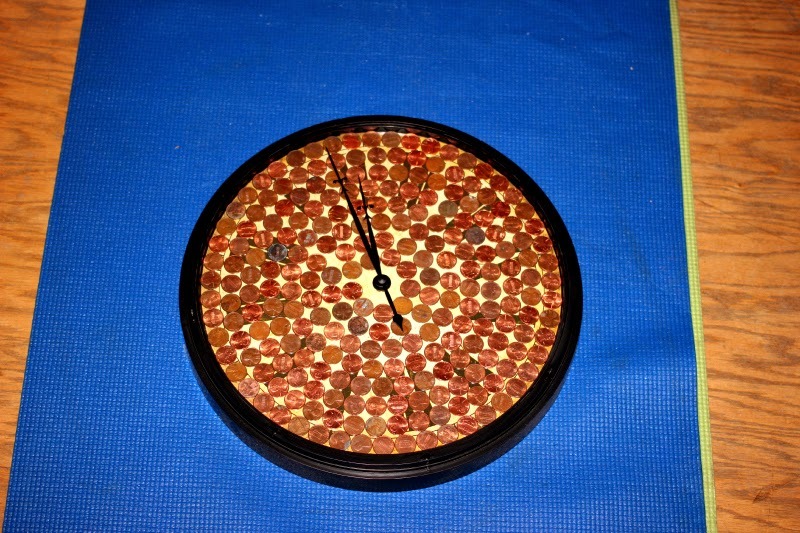 Now you just need to bust out your glue gun, glue your pennies on, and put the clock back together and you're done! 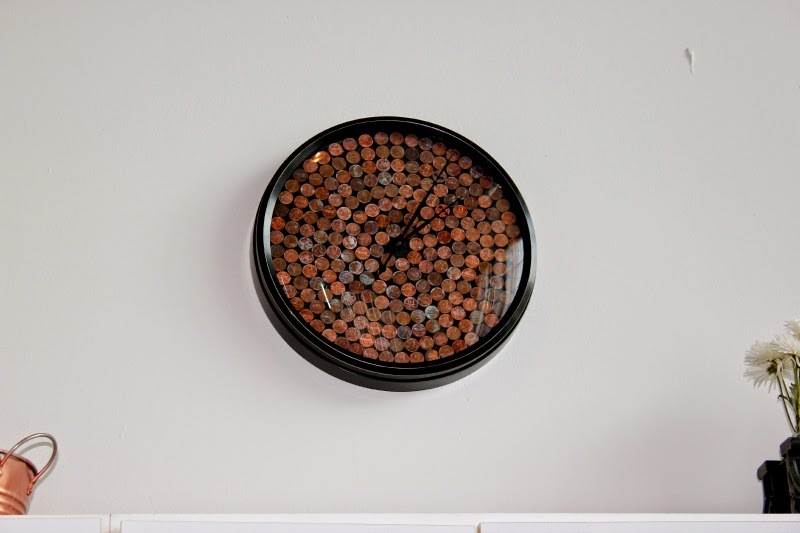 You now have a very hip penny clock.